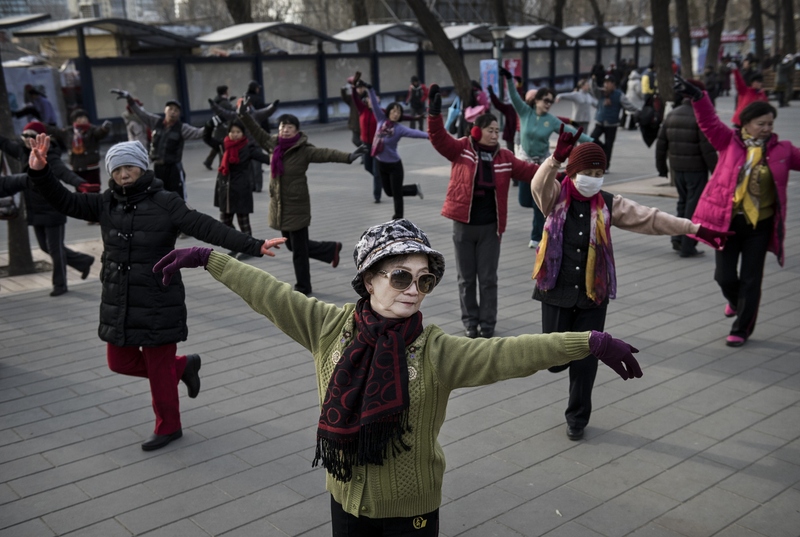 The country's government is cracking down on China's latest public nuisance — dancing grannies. Square dancing, a popular pastime for elderly women in China, brings people together in public squares, parks, and street corners to dance together. But the practice, which has made headlines abroad, has provoked complaints from local residents over the blaring music, which infiltrates their homes on an almost nightly basis. To control these unfazed grannies, the Chinese government announced Monday that the Ministry of Culture and the General Administration of Sport would regulate the dancers by confining them to state-approved dance routines. Square-dancing represents the collective aspect of Chinese culture, but now it seems that the overenthusiasm of participants has dealt it a harmful blow with disputes over noise and venues. So we have to guide it with national standards and regulations. It begs the question: Just how imposing can dancing grannies be? Their nightly socializing can be quite loud, and the participants remain generally unfazed by any requests to keep the noise down, according to local residents. The lack of public indoor spaces in China pushes the square dancers outside into any free space they can find, which brings them bumper to bumper with their younger neighbors looking to get a good night’s sleep ahead of another day of work. In some places in China, the attempts to silence the square dancers have taken more aggressive forms. People in Chengdu threw water balloons at a loud bunch of dancers; in Wuhan and Changsa, they threw feces. And in 2013, a man appeared in a Beijing court for discharging a rifle into the air after a cohort dancing near his house refused to quiet down. According to the China Daily news site, a panel of experts and fitness instructors has collaborated on the first 12 sanctioned dances, and 600 instructors have already been trained in the new routines. The government says it remains open to public feedback on more dances to include as the summer progresses. At the moment, Chinese officials have not put together specific regulations for the appropriate volume levels, suitable locations and the sanctioned times of day for square dancing. In the countryside you can chat with your neighbor. But in the city, dancing in the squares offers a platform for old ladies to make friends and escape their loneliness.